Indian Aurora Granite is a popular and long-time color from India. 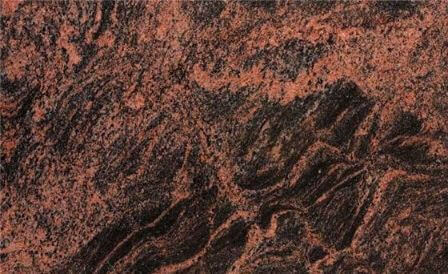 Indian Aurora Granite has nice black and reddish wave’s shades with very lot of shining grey specks in between. These rock sections are outstanding for their astounding shine and immaculate finish. It is used in both interiors and exteriors. Kushalbagh Marbles is the leading manufacturer, supplier and exporter of Indian Aurora Granite. We are exporting Indian Aurora Granite to over 20 countries all over the world. We supply Slabs, Tiles and other cut sizes of Indian Aurora Granite.